The European C-ITS Platform has made important progress towards a common C-ITS deployment strategy, and now it’s time to speed-up the cooperation between cities, road operators, businesses and professional users who need to work actively together if massive C-ITS deployment is to start in 2019. 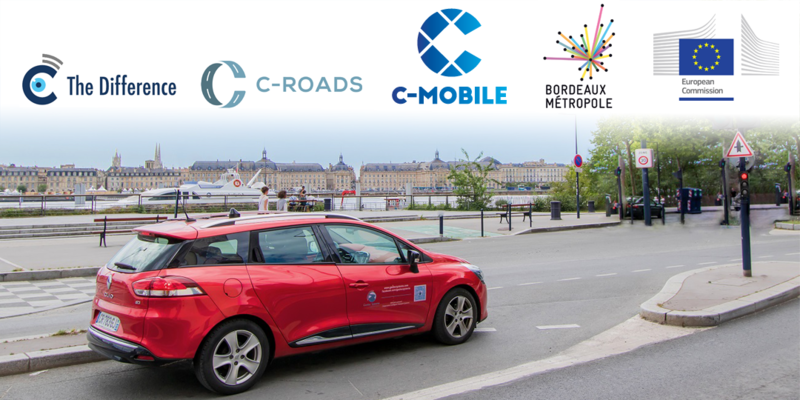 Three leading European C-ITS initiatives supported by the European Commission (urban C-ITS pilots in “C-The Difference” and “C-MobILE” projects, together with the C-Roads Platform for national and regional deployment), are coming together to invite policy- and decision-makers and professional users to meet at the Urban C-ITS Roundtable on 6th June 2018 in Bordeaux to strengthen commitment and to gain momentum toward large scale deployment in Europe. The event is free and open on invitation to all C-ITS stakeholders. 3. Foster the scaling up and widespread replication of successful C-ITS service implementations in European cities, and create a framework for demand and supply cooperation towards effective deployment and sustainable operation of C-ITS services. The event programme will be posted soon.